Srikanth is passionate about helping people stay healthy. He believes that consuming nutritious food is the key to a long and healthy life. Is basil part of your diet? 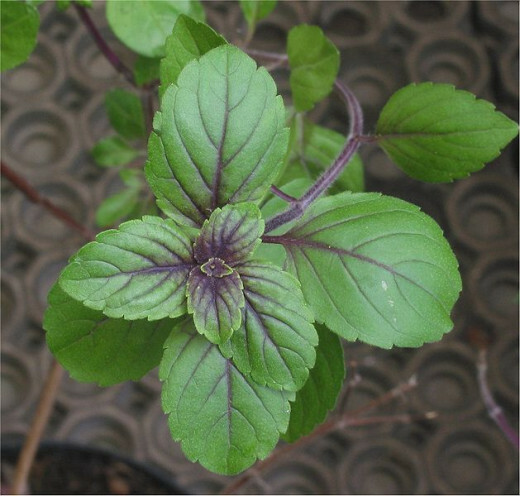 Basil (sweet basil - Ocimum basilicim and holy basil - Ocimum tenuiflorum) is a member of the mint, or Labiatae, family. Holy basil is also known as tulasi (the incomparable one). Basil grows best in warm tropical climate. Fully grown basil plant reaches about 100 cm in height. Basil leaves are light green and are pleasing to the eyes. The leaves are silky. They are about 2.5 inches long and 1 inch broad. The flowers are white in color. Basil’s leaves are used as a seasoning herb for many foods; you can also eat them raw. People usually grow basil for its medicinally useful leaves and seeds. Hindus worship the herb in the morning. Originally from India, Iran and other Asian tropical regions, basil is a half hardy annual plant. Its leaves are fragrant and resemble that of the peppermint. In fact both are related. Do you have a basil plant at home? It has many antioxidants. In fact it is loaded with essential nutrients. It contains 60 percent of vitamin K, 6.5 percent of iron, 5.9 percent of calcium, 5.2 percent of vitamin A, 4.5 percent of fiber, 4.5 percent of manganese, 3.1 percent of tryptophan, 3 percent of vitamin B6, 2.9 percent of magnesium, 2.8 percent of vitamin C and 2.7 percent of potassium. Basil has many health benefits. It has been used in Ayurvedic medicines for thousands of years. Here is a brief overview of some of them. Basil is well-known for its anti-inflammatory properties. Eugenol in basil blocks enzymes in the body that cause swelling. This is the reason why basil is used to treat people affected by arthritis. Basil also reduces bad cholesterol. Basil protects the body from premature ageing. This was proved during a study conducted in India. During the study, researchers found that basil was effective in protecting the body against free radicals. Free radicals can cause significant damage to the body. A research study was conducted at the Poona College of Pharmacy, Maharashtra, India. The study was led by Dr Vaibhav Shinde. The findings of the study were presented at the British Pharmaceutical Conference in Manchester. “The study validates the traditional use of herb as a youth-promoting substance in the Ayurvedic system of medicine. It also helps describe how the herb acts at a cellular level”, says Dr Shinde. Many experts rightly consider basil as an anti-ageing superfood. The study validates the traditional use of herb as a youth-promoting substance in the Ayurvedic system of medicine. It also helps describe how the herb acts at a cellular level. Basil promotes clear and healthy skin. It contains antibacterial and antifungal compounds that cleanse the skin. It is easy to use basil to clean and detoxify your skin. Add some dried basil leaves to boiling water. Let it cool. Message this solution into your skin and rinse with it. You may also prepare basil face mask. Take some fresh basil leaves and put them in a food processor. Mix the chopped mush of basil leaves with egg white and sea salt. Rub the mixture on to your face gently. Leave the mask for around five minutes and rinse. Basil is very effective against ringworm and other skin diseases. It is also used to treat leucoderma. Basil cures acne. You can make anti-acne face mask at home. Take few basil leaves and neem leaves and grind them together to make a paste. Add few drops of freshly squeezed lemon juice and apply this on acne. Once it dries off, rinse the paste with water. Instead of using skin toners that contain alcohol, you can make your own natural basil-based skin toner. Add few leaves of basil to boiling water. After it cools, strain and add equal amount of this basil-infused water with rose water. Spray it on your face using a bottle with spray nozzle. Note that this skin toner's shelf life is five days. Basil is very effective against mouth ulcers. If you are affected by mouth ulcer, it is advisable to chew few basil leaves. Basil is used to treat insect stings and bites. It promotes dental health. It is used to treat dental conditions like pyorrhea. Basil also contains beta carotene, whose health benefits are well-known. Basil leaves, when dried in the sun and powdered, make excellent tooth powder. You may prepare a paste of basil and mustard oil and use it as toothpaste. Doctors in India have been using basil to treat dental disorders for thousands of years. Basil is used to treat dandruff. You can make your own anti-dandruff basil hair mask. Add few leaves of basil, half a cup of amla powder and a little bit water in a blender. Blend it to make a smooth paste. Apply this paste on your scalp, and after half an hour rinse it well. This treatment is effective against dandruff. Bacteria causes itchy scalp. You can prepare an effective, natural basil-based home remedy for itchy scalp. Take a bunch of basil leaves and grind them. Add this basil paste to half a cup of sesame oil . Heat this mixture on low flame. Add few fenugreek seeds when this mixture begin to emanate fumes. When these seeds start popping remove the concoction from the flame and let it cool. Strain the liquid and apply it on your scalp. Basil functions as an adaptogen. It enhances the body’s natural response to physical and emotional stress. It helps the human body function optimally during times of stress. It decreases stress hormone (like corticosterone) levels. Lower levels of corticosterone are associated with improved mental clarity and good memory. Basil reduces the risk of many age-related mental disorders. Basil’s aroma elevates the mood. Basil enhances memory. It strengthens the nervous system. Sinusitis is a common medical condition. Headache, pain around the eyes, face and head, and blockage of the nose are some of its common symptoms. Basil, along with black pepper and ginger, is found to be effective against this medical condition. 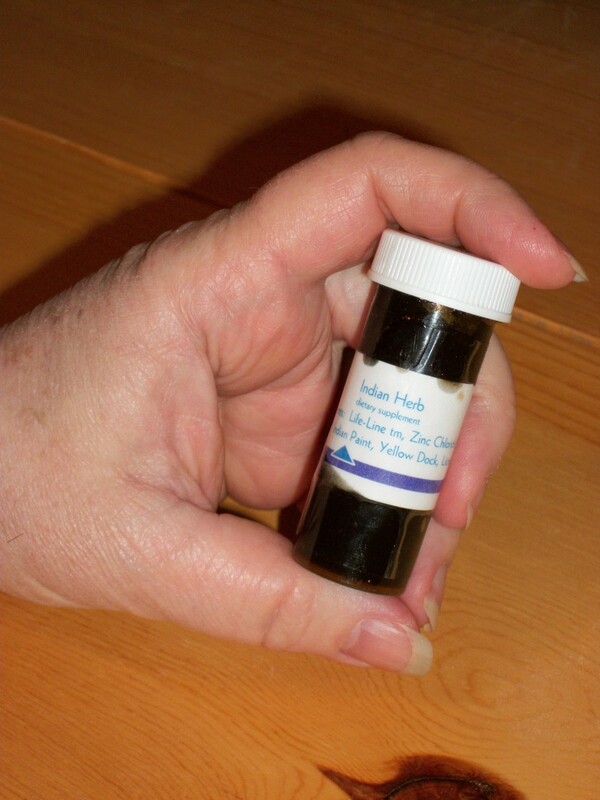 Basil removes the catarrhal matter and phlegm from the bronchial tube. It cures sore throat. If you are affected by sore throat it is advisable to consume water boiled with basil leaves. You may also gargle the water boiled with basil leaves. Basil is very low in calories. 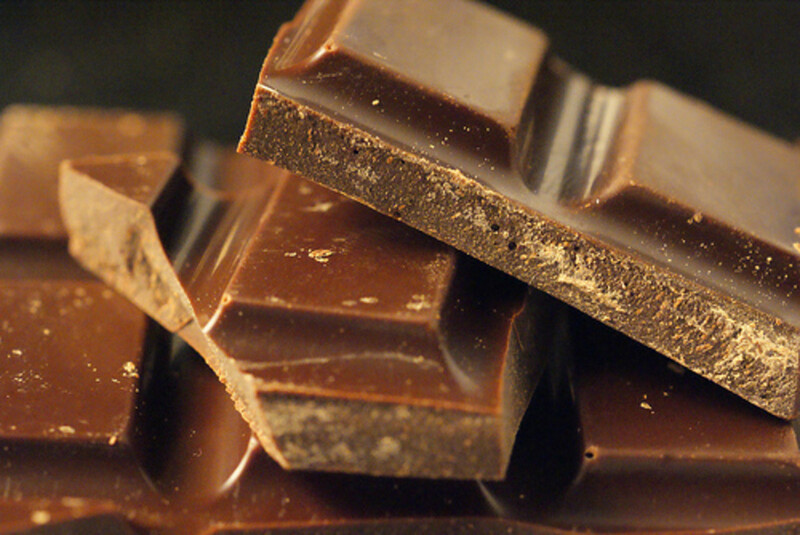 It contains many polyphenolic flavonoids like orientin and vicenin. These compounds were tested in in-vitro laboratory for their possible antioxidant protection against radiation induced lipid per-oxidation in mouse liver. Basil is found to have chemo-protective potential for colon cancer. According to a study, basil plays a significant role in reducing colon tumors. Antioxidants in basil prevent many types of cancer. Basil lowers blood pressure. It also induces copious perspiration. Type 2 diabetes (non insulin dependant diabetes) is a common medical condition all over the world. 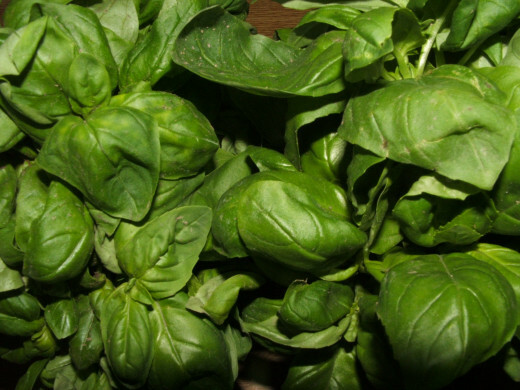 Basil is found to benefit people affected by this medical condition. It can control blood sugar levels. A study published in the “International Journal of Clinical Pharmacology and Therapeutics” in 1996 reported blood sugar lowering effects of about 18 percent after administering basil for one month. Flavonoids in basil nurture the cells in the human body. They prevent damage from free radicals and radiation. Basil is well-known for its antibacterial properties. It stops the growth of many bacteria. It even stops the growth of bacteria that would have become resistant to antibiotics. 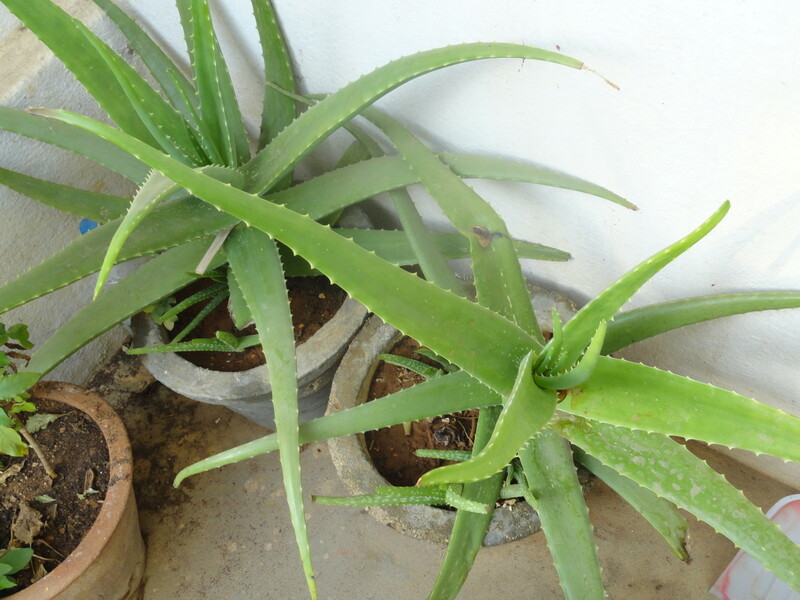 It is used to treat wounds as it prevents bacterial infections. Seeds of sweet basil prevent and cure constipation. Fiber in the mucilaginous layer surrounding these seeds after soaking is responsible for their laxative effect. Basil is an excellent cure for stomach cramps. People have used basil to treat food poisoning and indigestion for centuries. It is very effective against cold and flu. 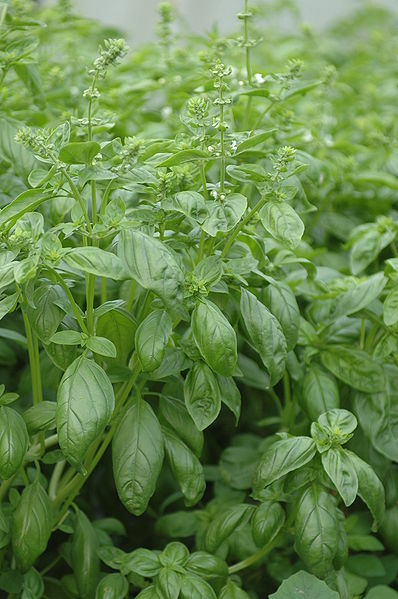 Basil provides relief from asthma symptoms. It is also used to treat whooping cough and bronchitis. Basil contains magnesium. This essential mineral relaxes blood vessels and promotes healthy blood circulation. Kidney is an important organ in the human body. Basil strengthens the kidneys. Juice of basil leaves and honey (if consumed regularly) is known to cure kidney stones in six months. Basil provides quick relief from headache. People affected by headache may consume a decoction of basil leaves. Mixture of basil leaves and sandal paste may be applied to the forehead. Basil is also used to treat sore eyes and night blindness. Zea-xanthin, a yellow flavonoid carotenoid compound found in basil protects the eye from age-related macular disease (AMRD). Basil is rich in phyto-nutrients, whose health benefits are well known. Basil is rightly called the “Queen of herbs”, as it benefits the body, mind and soul. Some societies also call it the “King of herbs.” These titles give us an idea of basil’s usefulness. Basil is safe to use. It definitely makes sense to include it in your daily diet. What is your opinion about basil? Basil is arguably one of the favorites among herbs because it has so many uses. Everything from soups to sandwiches can be made simply better with the addition of its fresh, pungent leaves. It also has been found to contain oils and flavonoids that protect the body from illness and infection. Very small concentrations can kill harmful bacteria, but still be very beneficial, even preventing atherosclerosis, heart attacks, and stroke. You may chew 2-3 leaves every day. If you are affected by any medical condition, please check with your doctor. Very useful information Thanks. What would be the average daily intake? You are welcome! I am happy that you could use the article. I took the information you've presented in this interesting and well-written hub to Basil plant. Thanks for sharing. You are most welcome. I am glad the article was useful. Very Use full Tips about Basil plant.. Thank You for sharing.